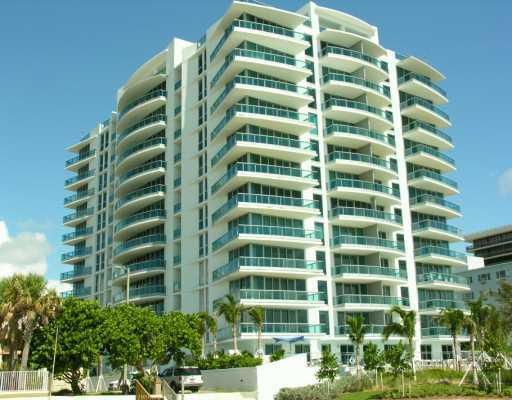 Azure Condominium is among the luxury oceanfront condominiums in the charming city of Surfside. It offers 82 residences in 2 different styles that highlight the incredible Atlantic Ocean and City and Bay views. Architecturally, it is a standout building in Surfside and is contemporary and airy. The attention to detail and the attention to space create unique residences that are comfortable for many types of lifestyles, whether family or seasonal resident. Life at Azure is as serene as the life you experience outside in Surfside. As you enter a grand glass donw, you will immediately be struck by the simplicity of the design. Each residence entrance similarly has a tranquil appeal. Residences come with hardwood floors, walk in closet, enormous balconies, and state of the art kitchens, perfect for a casual chef to a gourmet. Residences are between 1,246 square feet and 2,489 square feet, which make them more like skyhomes than what most think of a condominium. The building amenities are top of the line with club house, Oceanside pool, fitness center, spa and hot tub, and 24 hour security. Incorporated in 1935, Surfside has a population of roughly 5,800 and is comprised of single family homes, condominiums, and has a charming business district that remind many of neighborhoods in Southern California. It is on the northern end of the island of Miami Beach and runs from 88th Street to 96th Street of Collins Avenue and its’ streets are named for famous writers such as Dickens and Byron. Residents enjoy a pedestrian lifestyle if they choose and there are many cafes and boutiques.,The Shoppes at Bal Harbour are home to some of the most luxurious boutiques in South Florida and are within walking distance to Surfside. Dining in Bal Harbour and Surfside leaves little to be desired from casual to gourmet, there is something for every palate. Surfside is one of the most desirable areas of South Florida for both families and seasonal residents.